We’ve raised $35 million in Series B funding from Foundry Group and Autodesk, and are excited to announce plans to strategically collaborate with Autodesk. Led by Foundry Group, the investment round includes participation from existing investors DFJ Growth, Pitango Venture Capital, and Cagni Ventures, bringing Formlabs’ total investment to date to $55 million. The new investment will enable us to scale operations to meet growing customer demand worldwide, grow R&D efforts, and to extend Formlabs’ reach in the market and ecosystem. “Formlabs' efforts over the years in introducing new materials and capabilities have defined the category of professional desktop 3D printing, resulting in significant growth for the company along the way,” said Max Lobovsky, co-founder and CEO of Formlabs. In addition to Autodesk’s investment in Formlabs, we plan to strategically collaborate on software integration and joint marketing initiatives. Pascal Cagni, former General Manager and Vice President of Europe for Apple, will be joining as a strategic advisor to help bolster Formlabs’ expansion efforts across the EMEA territory. Through an expanding network of distribution partners, Formlabs’ global reach now extends across five continents in Africa, Asia, Australia, Europe, and North America. With rapid growth across all business fronts, Formlabs has seen 100 percent growth in annual sales for the third consecutive year and is shipping over 1,000 printers a month. Our printers are now the top-selling 3D printers in stereolithography worldwide. Earlier this year, we acquired Pinshape, the fast-growing 3D printing community online that hosts a flourishing marketplace of 3D designs. 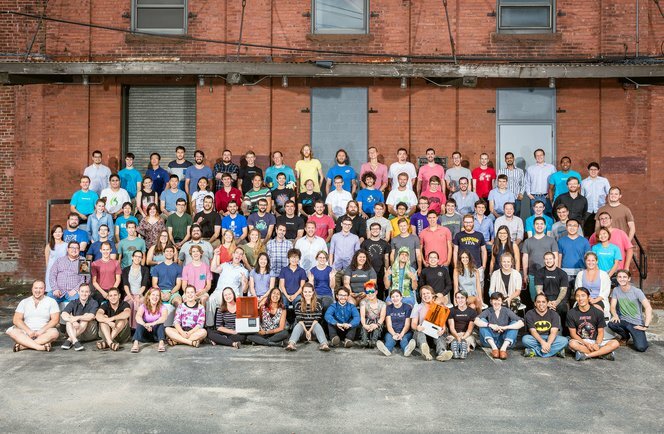 Most recently opening a location in Japan, Formlabs now has over 190 employees across offices in North America, Europe, and Asia. Help us grow even more: We’re hiring worldwide for positions in engineering, sales, marketing, software, and more.